Flat, simple-designed tablecloth fits perfectly underneath table skirts. 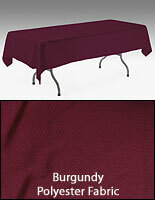 Royal Bue, polyester fabric is durable & brightly-colored. 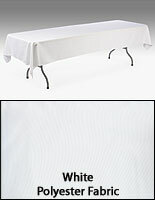 8-foot tablecloth minimizes the amount of fabric draping around a table. 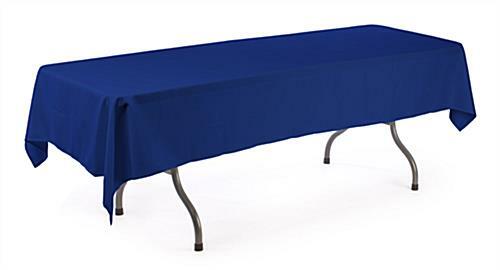 This royal blue table cloth boosts a table-based presentation, by simply covering the top display area with a bright, polyester fabric. 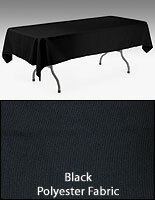 A table cover, cheap blue table cloth is designed to drape overtop a 6-foot-long table, with little excess fabric hanging over the edges. This makes it incredibly easy to attach clips and table skirts to your table. A royal blue table cloth, also known as tablecloths, will also prevent bumps and bulges from appearing on top of a table, because of its seamless design and short overhanging fabric. 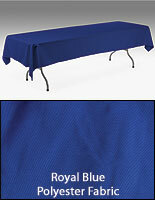 We sell this table cloth in a bright, royal blue color, adding vibrancy to any presentation. 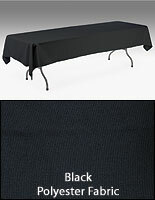 Made from the same 100% polyester materials, this inexpensive table cloth will perfectly match our collection of table skirts! 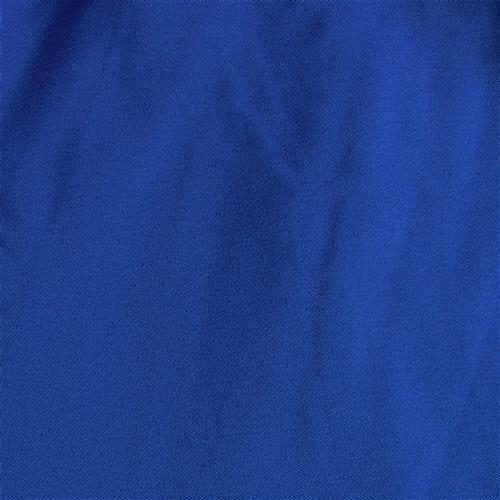 A cheap blue table cloth would be a great presentational tool, when used in groups, within a ballroom, banquet hall or reception area. The table cover, when paired with table skirts, creates a polished look you can duplicate throughout an entire display area. This would help you create a more unified presentation, focusing guests' attention towards a tabletop display or setting. The blue table cloth, such as table skirting accessories, is an inexpensive way to add style and sophistication to any convention center or reception hall.